"With a stripped back, typographic-led approach, Downton now feels refreshed, confident and ready to take on the big boys!" Downton Brewery's mission has always been to produce quality beers using only the finest ingredients and, as often as possible, to experiment with new and interesting raw materials. Safe to say that this innovative approach hasn't gone unnoticed with several awards being bestowed upon the brewery in recent times. Having said this, the Downton Brewery brand lagged behind the quality of the ale, and with a desire to appeal to a younger audience and capitalise on the popularity of craft ales, Sprout were commissioned to rebrand Downton. 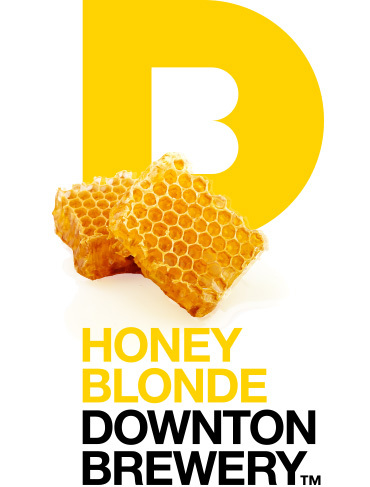 The renewed Downton Brewery brand is modern, fresh and exciting. Previously apologetic in it's shelf stand-out, Downton is now supremely confident and focused on appealing to the younger audience. 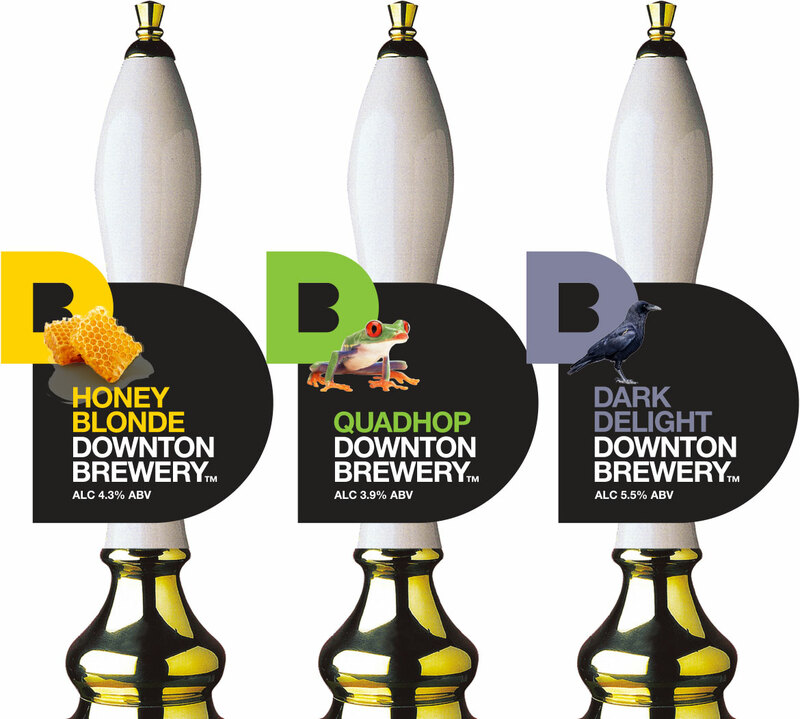 The DB (Downton Brewery) icon cleverly puts 'Brewery' at the heart of 'Downton', whilst the typographically-led label design celebrates the iconic naming of each and every beer. Colour-coded for stand-out at shelf, the new bottles have real impact appealing and intriguing in equal measure. The new brand system implemented across each product balances big, bold typography, underlined by the reassuring 'Downton Brewery' naming. Twinned with stylish cut-out imagery to reflect the individual and quirky naming of each beer, the label design no longer sits in the shadows at the back of the bar - this is a brand that knows it's strengths and revels in the spotlight. The new Downton Brewery brand has been carefully designed to be incredibly flexible absorbing new names and flavours of beer on a seasonal or monthly basis. As the brand begins to be rolled out, you will see the impactful Downton flourish across pump-clips, signage, van livery, bar mats, banners and merchandise not forgetting the many events and of course the beer bottle packaging itself! Keep an eye out for the new Downton at a bar near you. Cheers!